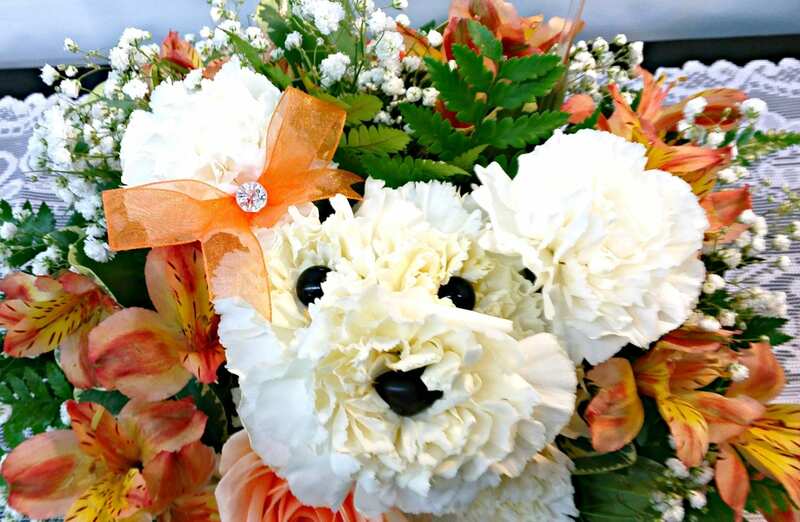 One of our Fiesta Pooches, our Peach Sweetness Paws features a Carnation pup in a wicker basket surrounded by orange Alstroemeria and assorted filler flowers. An orange bow adorns our pup’s ear. Our pup also holds an orange Rose.